New Zealand by 98 runs, Australia by 111. Who said hosting the World Cup brought added pressure? Day one showed why it would be no surprise if the two home nations met in Melbourne on day 45. In front of 84,336 fans at the MCG, Aaron Finch scored 135, Mitchell Marsh took 5 for 33, and Australia subjected England to their second-biggest World Cup loss in terms of runs. Finch's hundred was the first of this World Cup; back in 1992, Martin Crowe struck the first century of the World Cup on the opening day and went on to be Player of the Tournament. 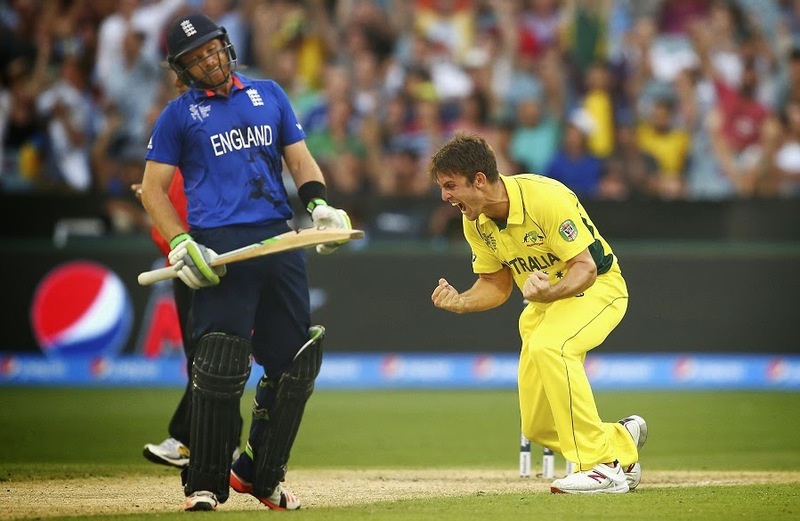 Australia would love such a six weeks from Finch, but will settle for now with this win. Their 342 for 9 was their highest ODI total at the MCG, and England never really had a hope in their chase.